Dimensions of the plushies are estimated to be the same as S size plushies. The Saitama Prefecture's Shirako bird and Mt Fuji hat were placed on the plushies to add that personal touch. One can use this plush as a handphone holder. These limited edition plushies are set to be released on 10 April 2015 and as usual each customer is only entitled to purchase one set per person. 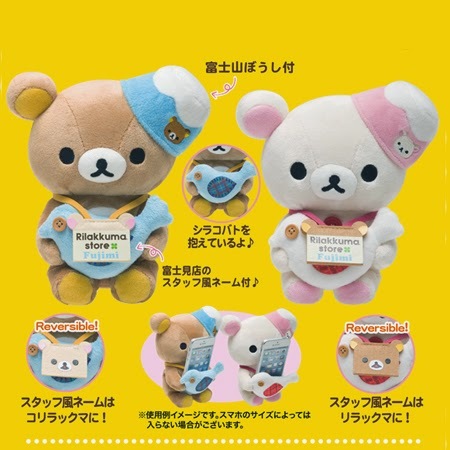 And if you are interested to get them as part of your collection, you can join our pre-orders at Rilakkuma Shop!